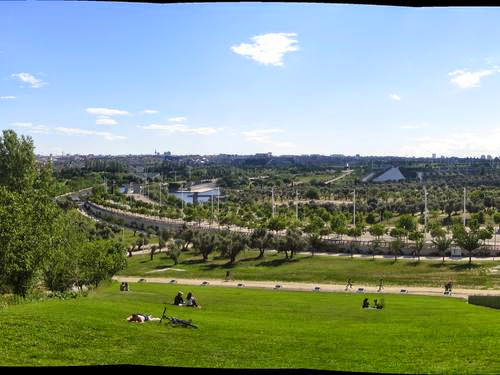 Europe park is the largest area green and leisure of Torrejón de Ardoz. It extends over a surface of 233,000 square meters, located between the District of Torrenieve and the Ronda Sur and account with reproductions of the most emblematic monuments of major European cities as well as different areas of leisure and adventure and a cybernetic fountain unpublished throughout Europe that will be a great show of water, light and sound.The most spectacular replicas of European monuments are assembled in this park: Brandenburg Gate, Berlin Wall, Greek Theatre,Fontana of Trevi, Eiffel Tower (with its classical night lighting more exaggerated), Puerta de Alcalá or London Bridge, are some of them. Lording it over the southwestern corner of La Latina, this imposing and recently restored baroque basilica is one of Madrid’s grandest old churches. 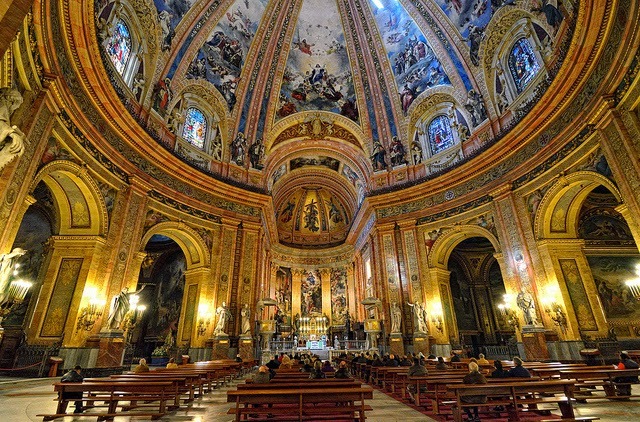 Its extravagantly frescoed dome is, the largest in Spain and the fourth largest in the world, with a height of 56m and diameter of 33m. Legend has it that St Francis of Assisi built a chapel on this site in 1217. The current version was designed by Francesco Sabatini, who also designed the Puerta de Alcalá and finished off the Palacio Real. He designed the church with an unusual floor plan: the nave is circular and surrounded by chapels guarded by imposing marble statues of the 12 apostles; 12 prophets, rendered in wood, sit above them at the base of the dome. 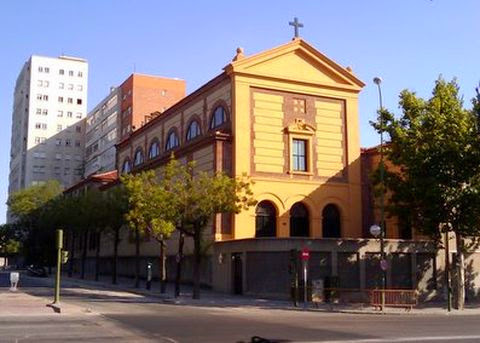 Each of the chapels is adorned with frescoes and decorated according to a different historical style, but most people rush to the neo-plateresque Capilla de San Bernardino, where the central fresco was painted by Goya in the early stages of his career – unusually, Goya has painted himself into the scene (he’s the one in the yellow shirt on the right). A series of corridors behind the high altar (accessible only as part of the guided visit) is lined with works of art from the 17th to 19th centuries; highlights include a painting by Francisco Zurbarán, and another by Francisco Pacheco, the father-in-law and teacher of Velázquez. In the sacristy, watch out for the fine Renaissance sillería (the sculpted walnut seats where the church’s superiors would meet). Juan Carlos I Park is the main municipal park. It was inaugurated on the occasion of "Madrid Capital of Culture" in 1992. His name is in honor to Juan Carlos I (King of Spain). With the Park was recovered a highly degraded area, respecting an existing olive trees. It occupies an extension of 160 hectares and has a lake of 30,000 m2, a river of 1,900 m. to length, 13,000 m. of walks, 21 hectares of olive groves, 19 outdoor modern sculptures, a garden called the Three Cultures ("Tres Culturas"), and an auditorium. 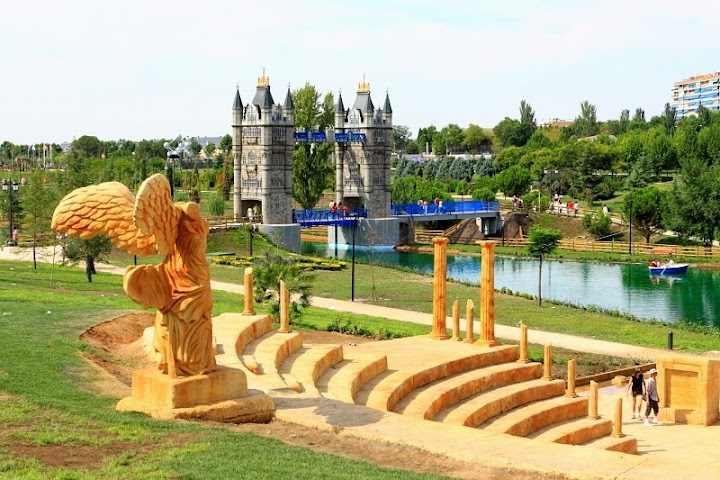 There is also a little tourist train for travel around the park during the whole year, activities and workshops for kids, canoeing courses, fishing without death and things for the whole family. The Order of the Visitation of Holy Mary is a Roman Catholic religious order for women. Members of the order are also known as the Salesian Sisters. The Order was founded in 1610 by Saint Francis de Sales. At first the founder had not a religious order in mind; he wished to form a congregation without external vows, where the cloister should be observed only during the year of novitiate, after which the sisters should be free to go out by turns to visit the sick and poor. The special charism of the Visitation Order is an interior discipline expressed primarily through the practice of two virtues: humility and gentleness. Your choir may choose to perform in a community setting such as a senior citizen center, or church. These concerts afford wonderful opportunities to connect with local people in a more informal atmosphere. *A piano or keyboard can be provided by prior arrangement (rental fees may apply).